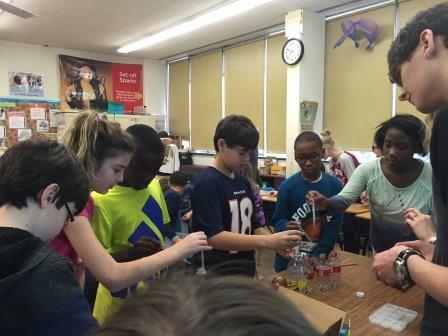 The fifth and sixth grade STEP UP students were treated to over an hour of hands on STEM activities brought to them by two SEL alumni, Sarah Straub and Nick Jakse, Class of 2012. Sarah is a senior studying Materials Engineering at Rensselaer Polytechnic Institute (RPI). She will be starting work this summer as a Materials Engineer at ExxonMobil in Houston, Texas. Nick is a fourth year student studying Electrical Engineering at Rochester Institute of Technology (RIT). 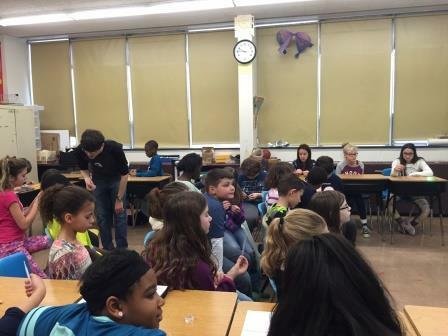 Sarah and Nick introduced the students to some of the fundamentals of materials science. 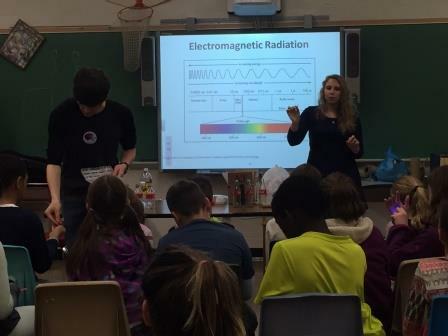 The students learned about luminescence by performing experiments with glow sticks and LEDs. 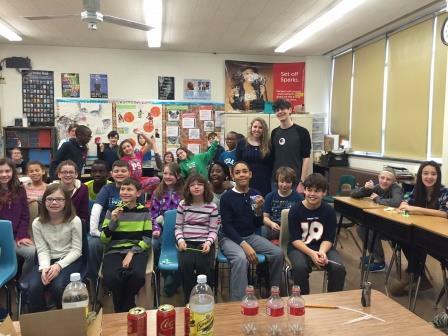 Sarah and Nick had nothing but praise for their experience in the South Euclid Lyndhurst School system. 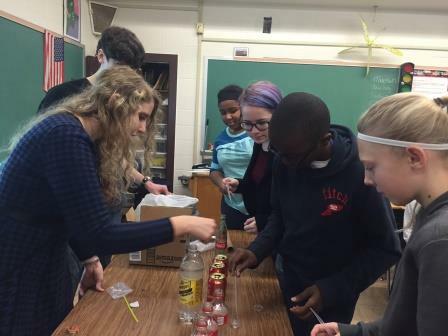 Sarah stated, "The STEP UP program is responsible for many of my fondest memories in the SEL schools. I developed and sharpened my critical thinking and communication skills which have been essential to my successes as a student and an engineer. 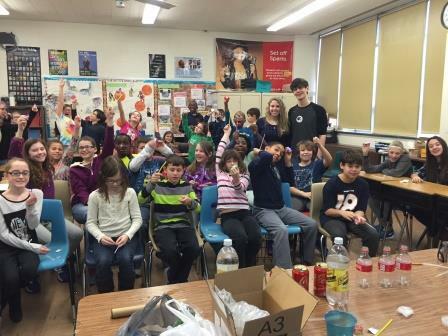 Sharing my love for science with the students in my hometown was a rewarding opportunity for which I am grateful." The SEL family is just as grateful to have these two back to share their experiences. They were superb in delivering the science lesson in an apropos format! These wonderful alumni personify the SEL mission statement, "We educate, inspire and empower students to be high achieving contributing members of a global society".